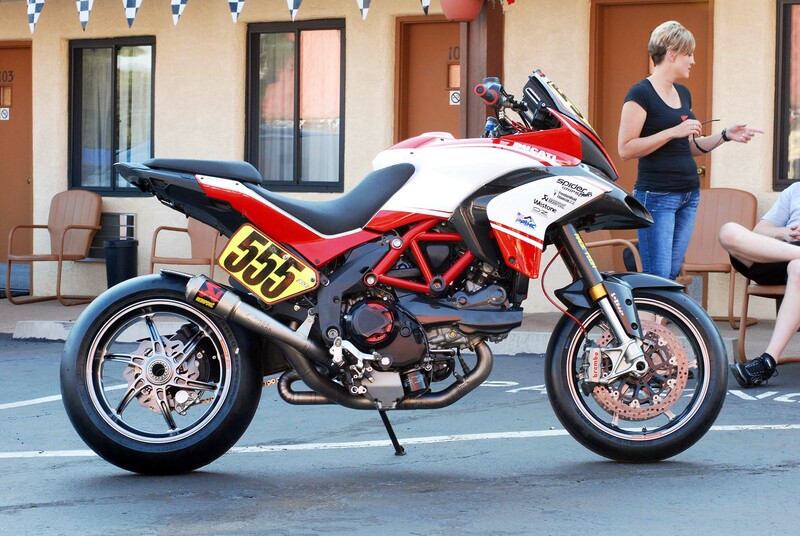 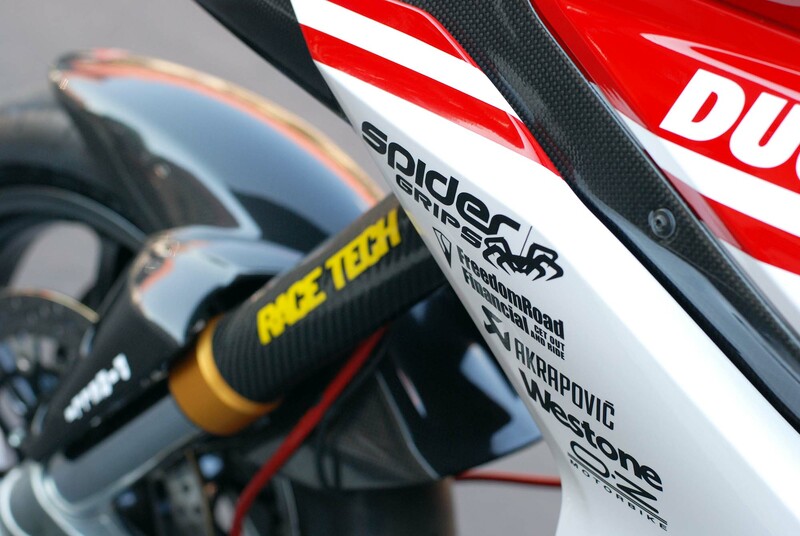 Ducati is in Colorado this weekend, taking part in the 90th running of the Pikes Peak International Hill Climb. 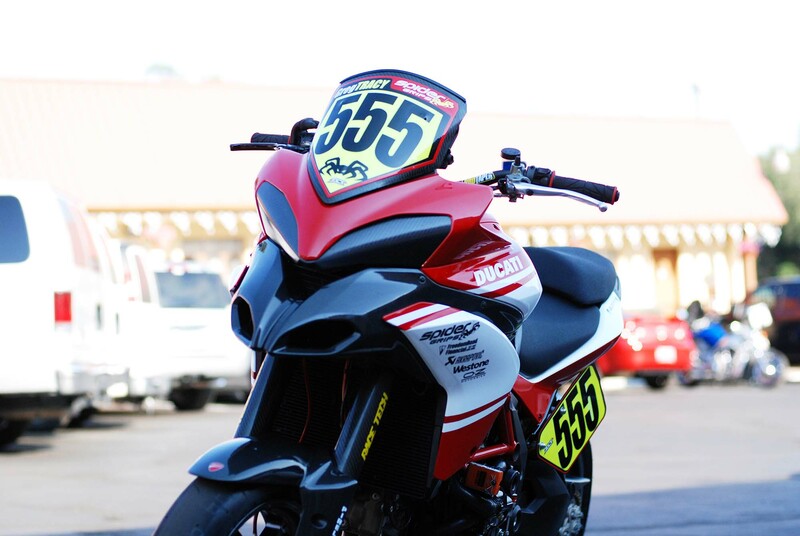 The second oldest motorsport race in the United States (the first being the Indy 500), 2012 is the first year that the Race to the Clouds will take place on a fully-paved road course, which is sure to bring a new chapter in this historic race. 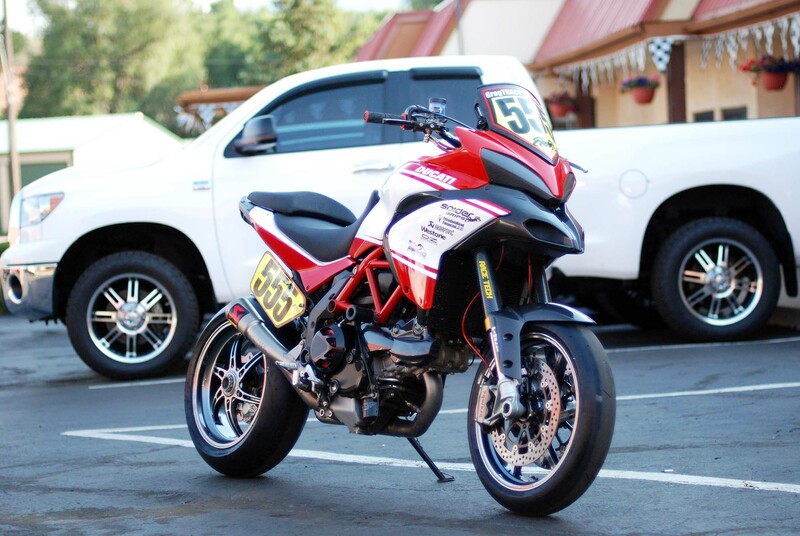 Asphalt & Rubber made the great trek out to Colorado (braving the far-too-early mornings), and we are here mostly to heckle our boy Carlin Dunne, who won the race last year in his rookie debut (setting a course record no less). 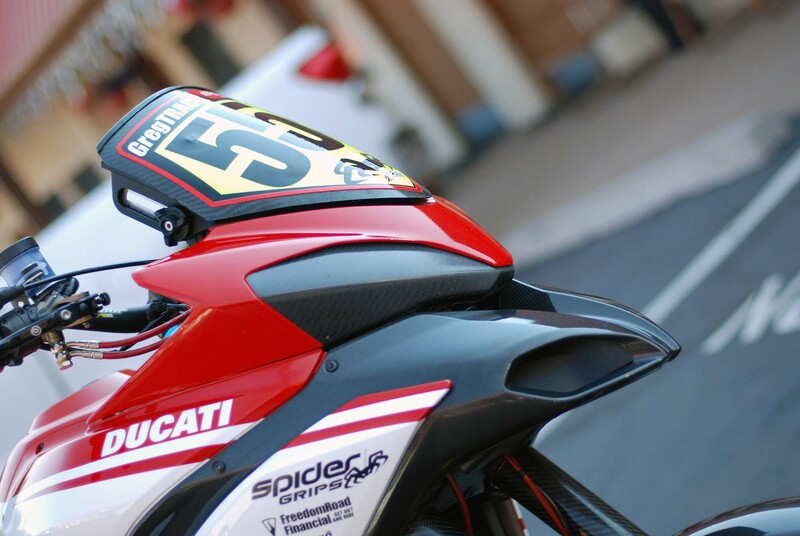 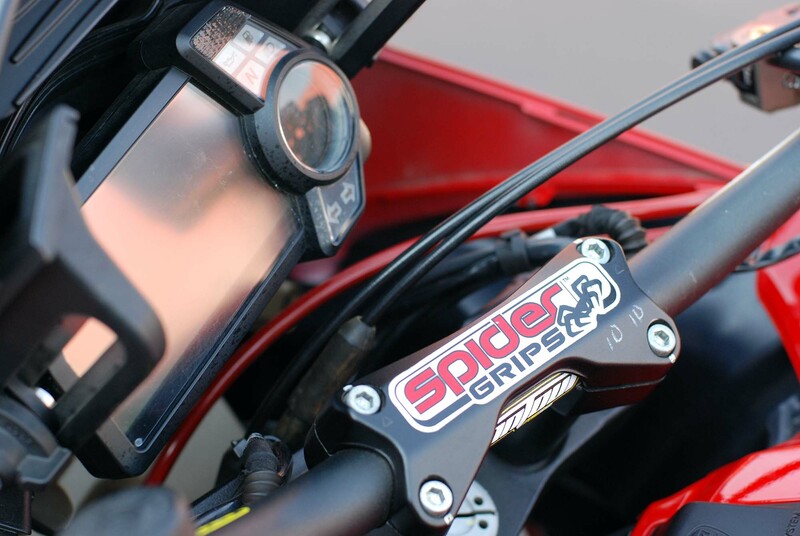 Riding with the Ducati Spider Grips Team this year, Dunne will be joining Greg Tracy, as the pair will again ride the Ducati Multistrada 1200 S up to the 14,000+ foot finish line. 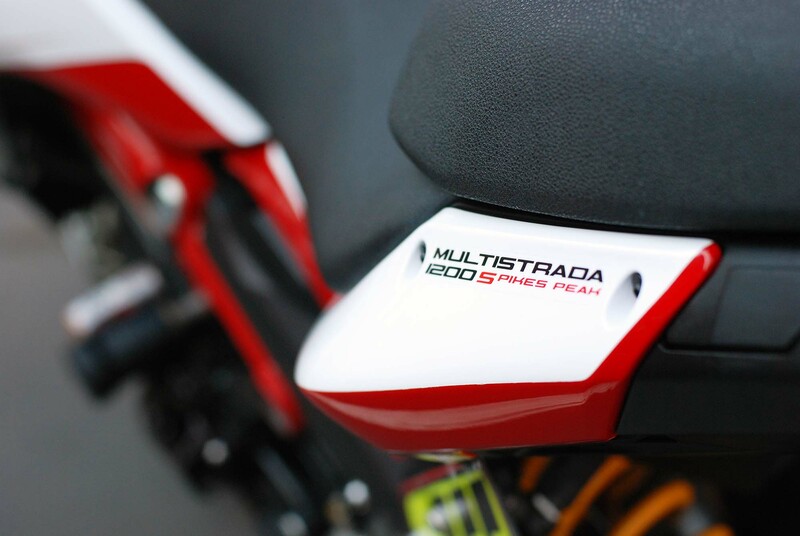 Ducati hopes to continue its dominance on the mountain this year, and the Ducati has rolled out another iteration of its Multistrada 1200 S race bike, which we gushed over last year. 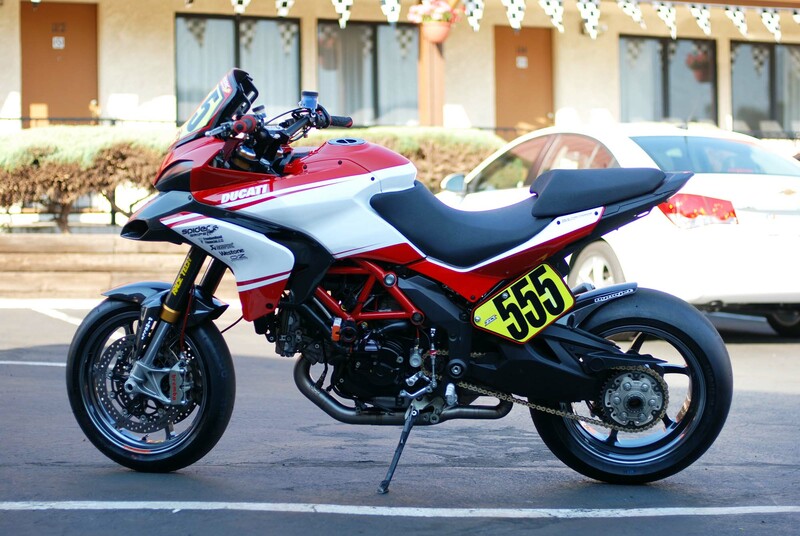 It is hard to believe that the previous bike feels a bit dated now (though, we still wouldn’t mind a Pikes Peak edition MTS 1200 in our garage), but this year’s machine brings added refinery to the race bike, as well as an understated and classy, yet beautiful paint job. 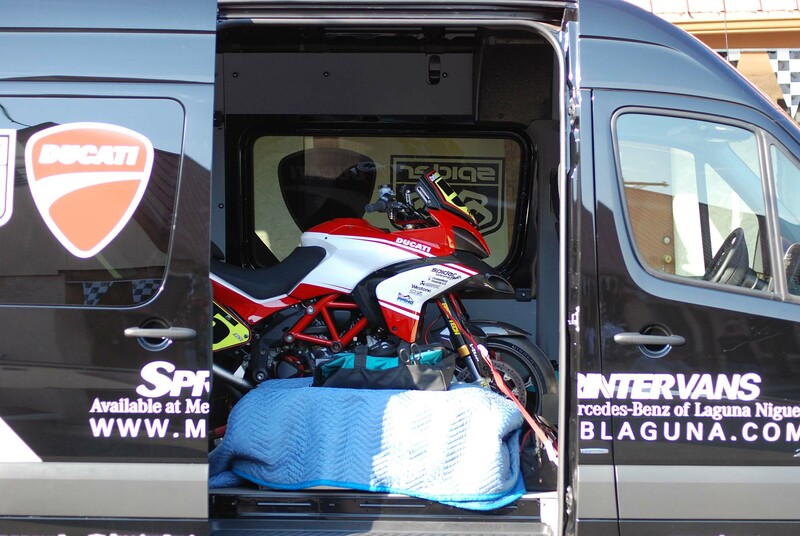 Despite what you will hear from the privateers, the Ducati team is running fairly stock machines. 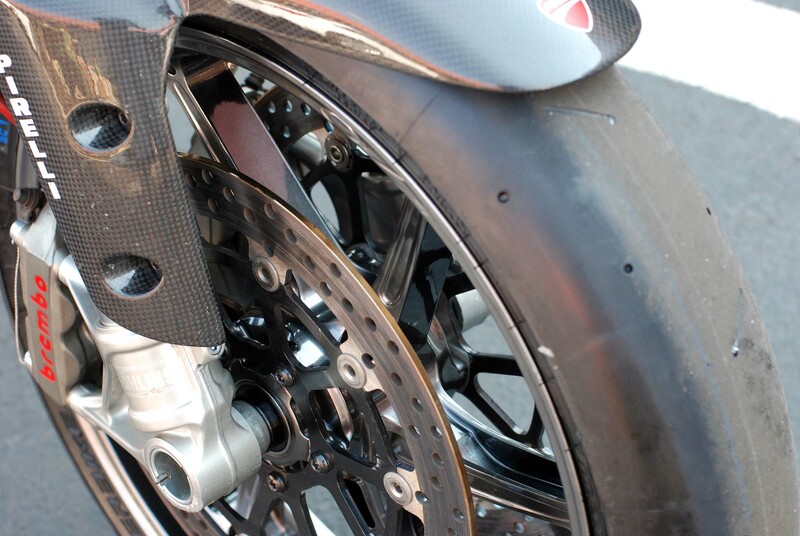 All the street-legal pieces have been removed of course, with Tracy’s #555 machine getting a bit more attention to its modifications than Dunne’s #5 machine. 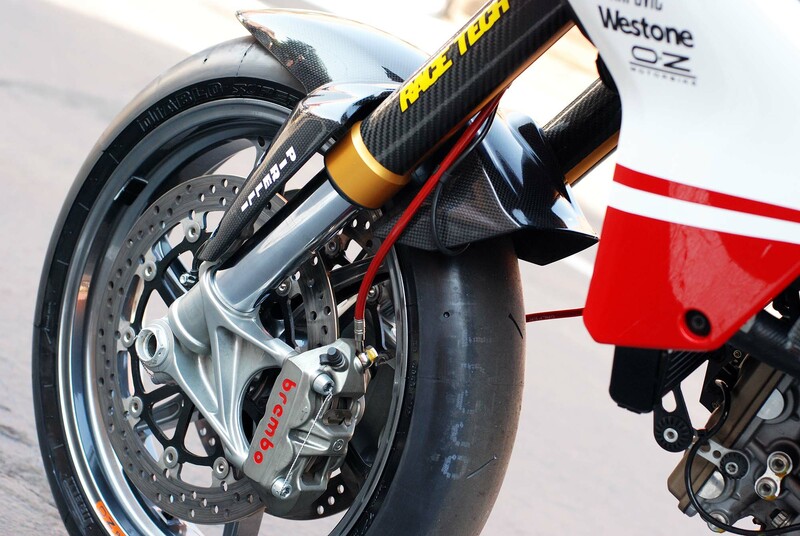 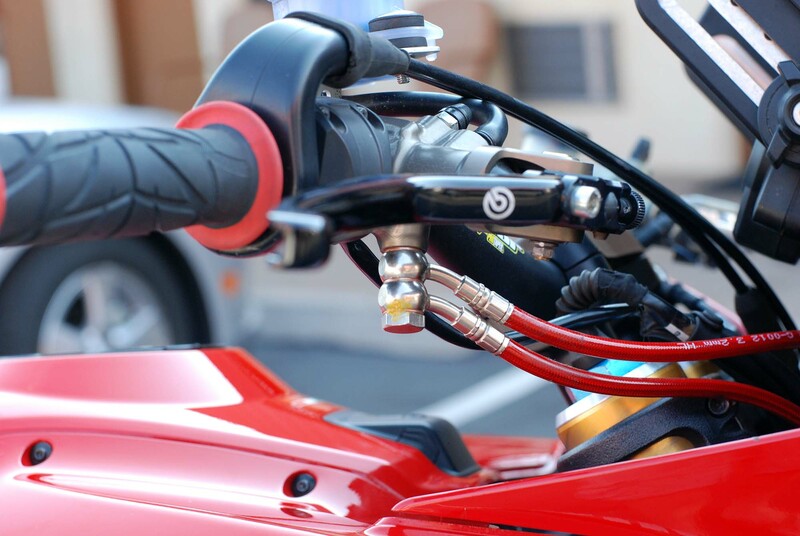 Both bikes benefit from upgraded brakes, which feature Brembo MotoGP radial master cylinders and brakes pads, as well as the Ducati Superbike 1198’s monoblock brake calipers. 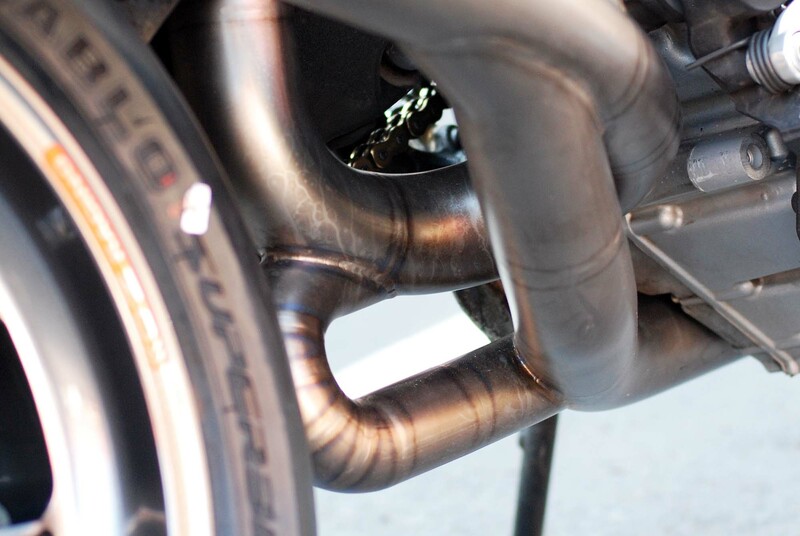 Suspension is stock, but has been massaged by Paul Thede at Race Tech, while Akrapovic has built a special Evolution exhaust for the Ducati Multistrada 1200 S Pikes Peak race bikes (six were made for the team, with only 50 units built for consumers worldwide, 20 of which will be coming the US). 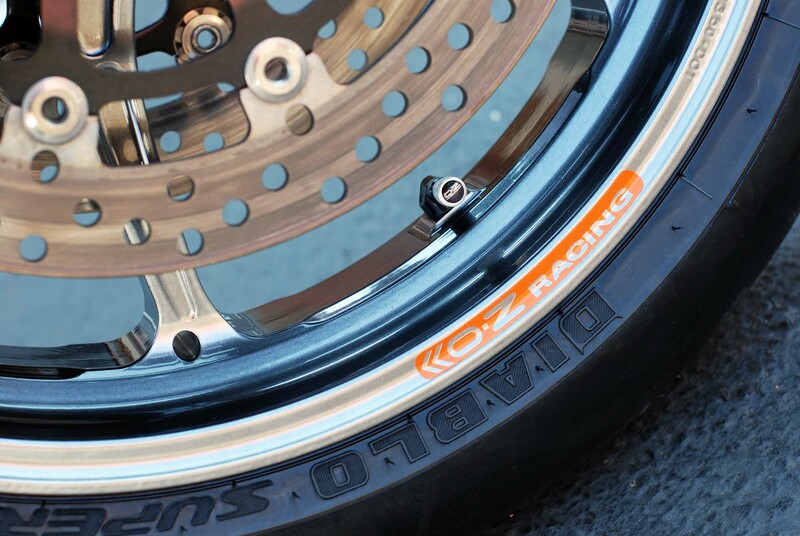 Glossy aluminum superbike wheels are courtesy of OZ Wheels, while the subframe and bodywork have also been modified by the team. 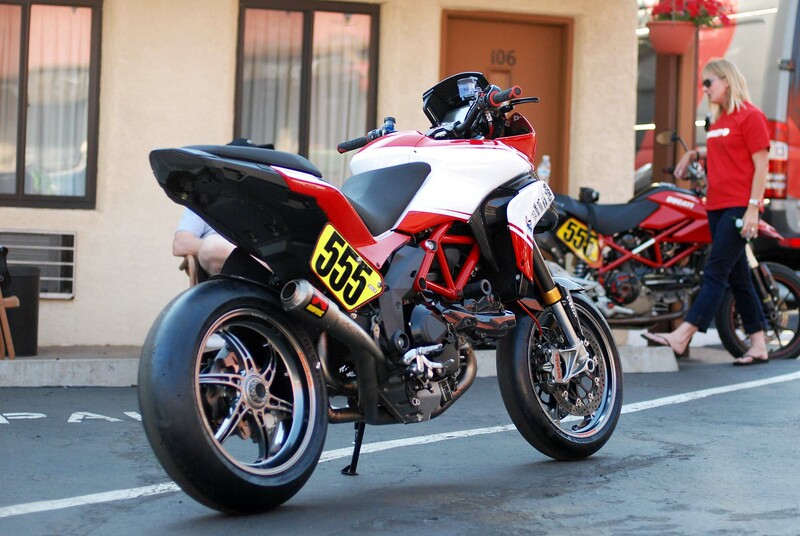 Both bikes feature a full-band auto-tuning ECU system, which should help the Multistrada’s deal with the massive altitude change over the course of the race (the starting line is at 9,300, while the finish line is at 14,100 feet). 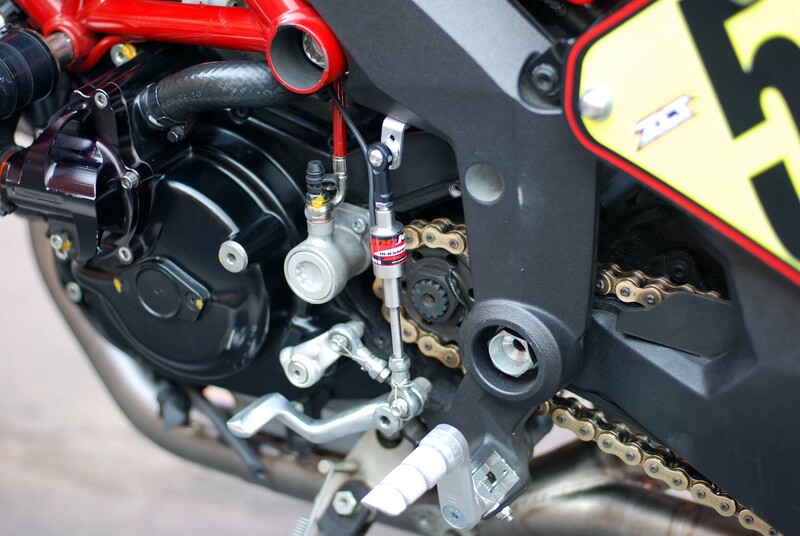 Ducati won’t talk openly about modifications to the motor, though it was suggested that not much work has been done to the machines internally. 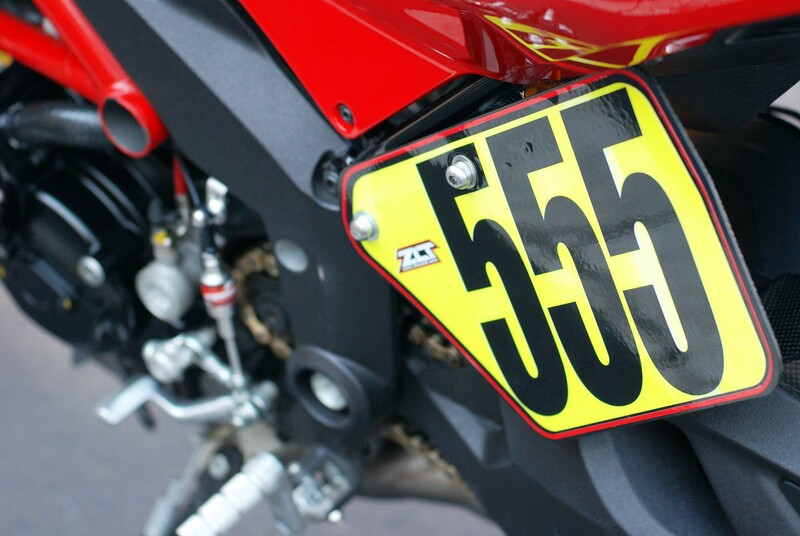 We can imagine that both the #5 and #555 bikes have had their engines blueprinted, and that none of the major components have been altered. 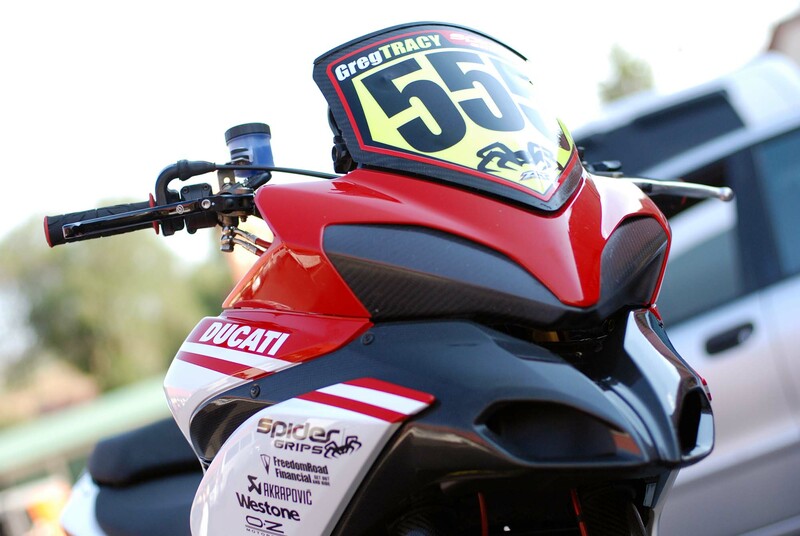 With Carlin Dunne looking to backup his record-setting rookie victory last year, he will have tough competition from his teammate Greg Tracy, not to mention a field comprised of some stout PPIHC veterans. 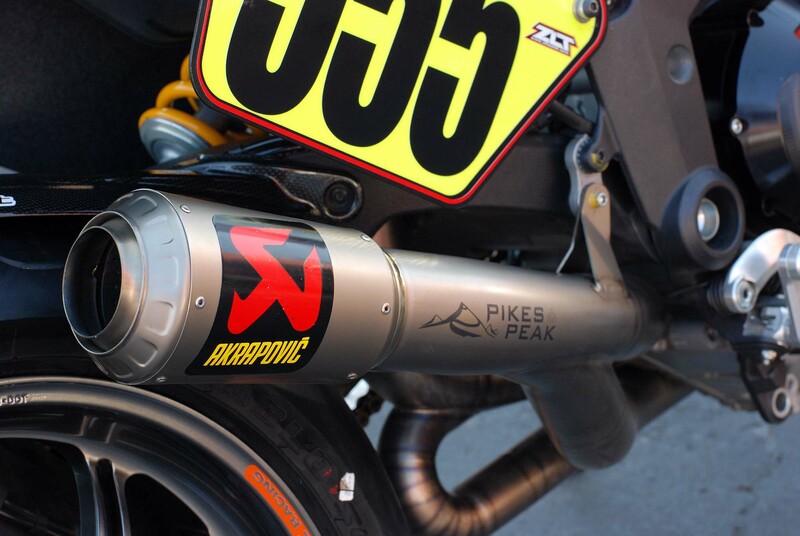 We’ll bring you the qualifying and race results as the 90th Pike Peak International Hill Climb gets underway.